Newly revised with interior illustrations! 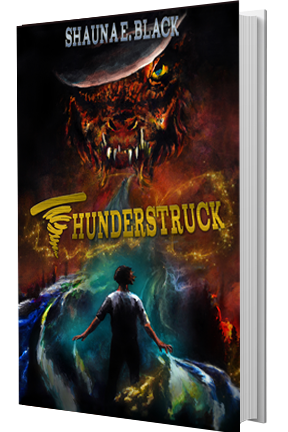 When Jesse gets struck by lightning following the death of his mother, the local weather goes haywire, and he finds himself in a world of adventure and fantasy. Mini tornadoes appear out of nowhere, and the chicken coop freezes in summer. Looking for a fresh start, Pa uproots them both to a Colorado mining town. Looking for help, Boone draws Jesse into a world of adventure and fantasy to stop an evil skinwalker from finding an ancient pot shard hidden somewhere in Silver Valley. A master of disguise, the skinwalker could be anyone. If Boone and Jesse can’t find the pot shard first, the skinwalker will bring back a reign of terror to the West!